Spending time in your beautiful, brand new pool is the perfect way to enjoy our long summer afternoons – relaxing poolside or taking a dip to cool off is the ideal way to cope with our hot Australian summers. However, it’s no secret that our harsh sunlight carries dangerous UV rays which we should be conscious of whenever we use our pools. Coral Pools is happy to offer pergolas and patios, the ideal way to shade yourself and your family whilst spending time in your pool. Whether you’re hoping to cover a corner of the pool so you can enjoy the water without getting too hot, or you’re looking for a pergola to entertain guests under, our talented team can create a structure that complements your pool space and your home. How to design the perfect structure for your home? 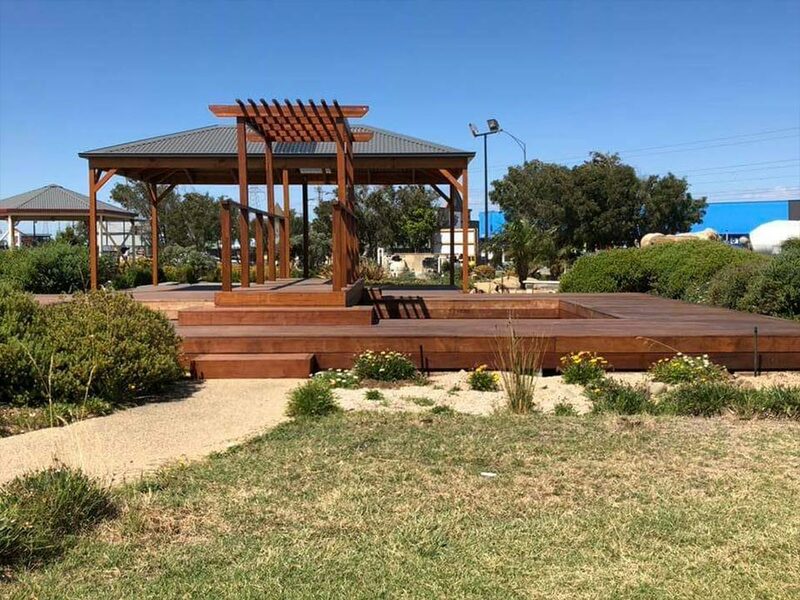 To ensure your patio or pergola complements your home, our talented team will work with you to build a beautiful structure to your exact specifications and tastes. We recommend using materials and colours that are already found throughout your home, and architectural features that match that of your house. For example, if yours is a modern masterpiece, crisp, clean lines are a great idea, whilst if your home is heritage in appearance, then timber and period colours could be the ideal choice. Why should I use a pergola? Though lounging in the sun may seem like a good idea at the time, there are many dangers associated with prolonged exposure to our harsh Australia sunlight. Our patios and pergolas are designed to block out harmful UV rays and infra-red rays. Can I still enjoy natural light under my pergola? We know how nice it is to sit outside on a sunny day, which is why we even have options which allow natural sunlight to penetrate through whilst filtering out damaging rays, allowing you to enjoy time in the sun with peace of mind. Should my pergola match my home? Whilst this does come down to personal preference, we recommend using complementary materials when building your structure to ensure it ties in with the theme of your property. Consider using similar materials, colours or textures for a cohesive look. Should I cover my pool? Whether you decide to cover your whole pool, a small portion of the water, or just your al fresco dining area depends on your space and how you use your pool. However, if your pool isn’t heated, it can only be warmed by the sun’s rays, and covering it will reduce the temperature. Based in Ravenhall, Coral Pools is proud to offer its professional pool building services to the western Melbourne region, including Deer Park, Derrimut, Laverton, Sunshine, Caroline Springs, Altona, Rockbank, Tarneit, Hoppers Crossing, Williamstown, Werribee, Point Cook and many more. Please contact us to see if we can build pergolas and patios in your area.